Atleast upto a week back, all was good. But today whenever I open a JS file, any var declarations get obfuscated. So something like var accountId would appear as var &@*#^&@. However if I copy those weird characters and paste into Notepad, they appear fine. The same thing happens when I start typing anything after a var, it starts getting obfuscated. I have attached a screen shot of actual chars vs what RubyMine shows. Other than the bundled plugins I have BashSupport, SmarterEditor, TabSwitch which I disabled. I also disabled Inspection-JS and JS Intention Power Pack to check. Still the same behavior. I have also noticed that when I first load a new JS file, the file appears correct. Then RubyMine starts processing something on the file. And then the vars get obfuscated. 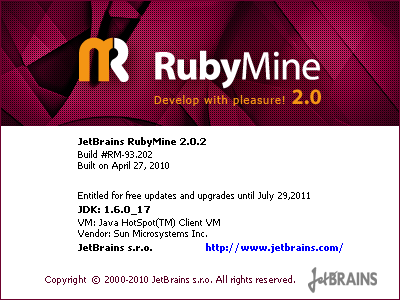 What Rubymine build do you use? Is encoding used in Rubymine correct? OK. I figured out the problem. My font file was corrupted. Bold Italics re-map to some other characters and hence the issue.